Last week’s announcement about the release of Garden of Delete, the new album from New York–based electronic experimenter Oneohtrix Point Never (0PN), came wrapped in confusion and fantasy, courtesy of a cryptic PDF that spoke of encounters with acne-riddled aliens and mutagenic slime. It was the sort of thing you’d expect from William S. Burroughs’ surreal sci-fi novels or David Cronenberg’s body-horror flicks, not the promotional rollout from a guy who helped score Sofia Coppola’s The Bling Ring. But for 0PN’s driving force, Daniel Lopatin, casting a teenage extraterrestrial named Ezra as Garden of Delete’s protagonist has more to do with reaching life on this planet than on others. Challenging listeners, intentionally or otherwise, has been a part of the 0PN aesthetic for some time. His last album (and debut for electronic stalwart Warp Records), 2013’s critically acclaimed R Plus Seven, was comprised of strangely melodic soundscapes that made for difficult listening. With Garden of Delete, out November 13, Lopatin seems keen to work against that standard, applying more rock components to his far-out, ambient style. The alien tale is actually intended to make his work more accessible. In telling the story of Ezra, who tries to be human but fails, Lopatin is attempting an autobiography of sorts, one dating back to his 1990s adolescence. “I am contemplating the person I was when I was starting to have autonomy over my own tastes in music,” he explains, building fiction out of whatever memories he can conjure. He’s comparing literal alienness to that teenage feeling of being an outsider, of not fitting in. Rejecting romantic nostalgia, Lopatin recalls watching MTV in the days of grunge as a melancholic experience, where the hip insider nature of its music coverage made him feel even more isolated. “I was never really in on anything,” he says. 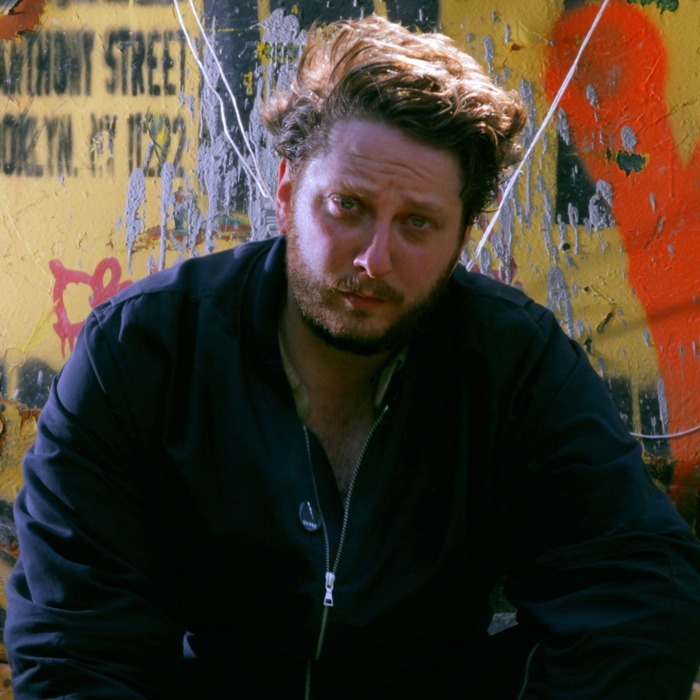 Coming off that experience, Lopatin reassessed the importance of people connecting with his music. “I want the kid that works at the mall to like this record,” he says with sincerity. Accordingly, he’s included lyrics to communicate better, a decision he feels brings the album more in line with alternative rock. Nonetheless, anyone expecting a full detailing of Garden of Delete shouldn’t hold their breath. “It’s not deeply plotted out,” he says, “More of an ongoing experiment with the concepts floating around in my head.” By his own admission, even the record’s title comes from his struggle to remember, which leads to storytelling and appropriation. From this suppositious miasma of fact and fiction comes “Gun,” an album teaser exclusively premiering on Vulture today. Directed by filmmaker Ariel Kleiman, the ominous clip originates from B-roll footage from his 2015 thriller Partisan, for which Lopatin provided the score. “His film strongly resonates with the album,” he says. “We were all making the same weird observations about childhood.” Given what’s been revealed thus far about Garden of Delete, we’ll take all the clues we can get.